Abuses Related to African Palm Oil Production / REPSA “Ecocide” Case: On September 18, 2015, Rigoberto Lima Choc was shot while outside of a local courthouse in Sayaxché, Petén, just one day after a Guatemalan judge ordered the palm oil company Reforestadora Palma de Petén S.A. (REPSA) to suspend its operations for six months. 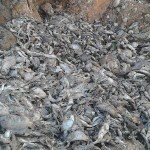 Lima had been of the first to report the mass die-off of fish in the La Pasión river this spring, allegedly linked to overflow from REPSA’s processing plant. 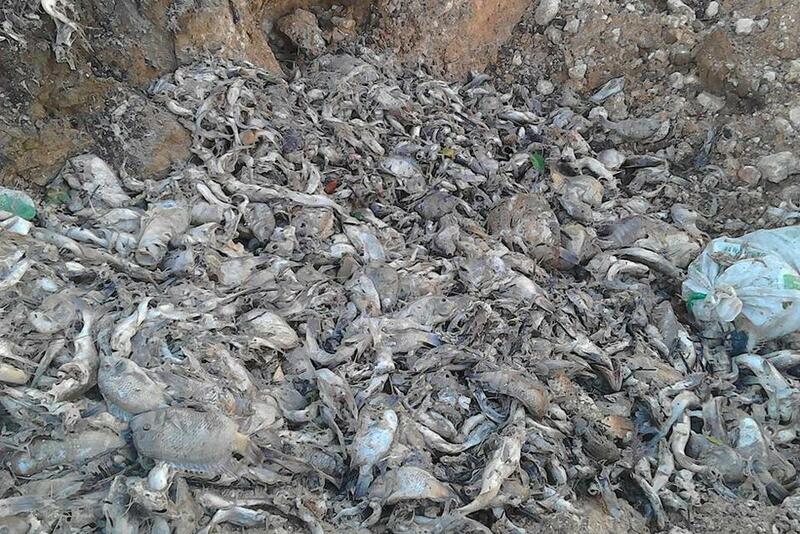 Alongside a coalition of international and Guatemalan NGOs, GHRC is echoing community demands for a full investigation into the murder of Rigoberto Lima, and a continued investigation into the contamination of the river. 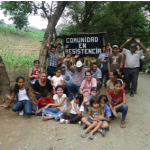 La Puya Environmental Movement: Since 2010, the communities of San José del Golfo and San Pedro Ayampuc have denounced the imposition of a gold mine without community consent. On March 1, 2012, Estela Reyes decided to block the entrance to the El Tambor mine — now owned by a US company — to prevent mining equipment from entering the site. 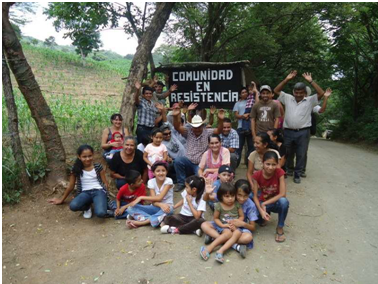 Community members of San Pedro Ayampuc and San José del Golfo immediately joined Estela and transformed the roadblock into a community-based, peaceful resistance movement. In May 2014, after two years of peaceful struggle, the communities in resistance of La Puya were violently evicted from the entrance to the project. However, community members continue to oppose the project and La Puya continues to be one of GHRC’s emblematic land rights cases. GHRC has provided direct support to the La Puya movement and coordinated urgent actions, advocacy and media campaigns, and legal resources for communities. Land Evictions in Polochic: In a series of violent, forced evictions that took place starting March 15, 2011 almost 800 families from 12 communities were displaced in the Polochic Valley and left with nothing. Residents’ crops were completely destroyed to make way for sugar cane and African palm production. While a small handful of 140 families have since been resettled, most continue to live in dire poverty, without access to food or basic services. GHRC and a coalition of Guatemalan and international organizations successfully petitioned the Inter-American Commission on Human Rights (IACHR) of the Organization of American States in 2011 to approve precautionary measures for the communities, and continues to support families’ struggles for access to the land and basic services they need. Massacre at Nacahuil: On September 7, 2013, unidentified men stalked through the indigenous town of Nacahuil, gunning people down. When the gunmen finally fled in their stolen vehicle, 11 people were dead and at least another dozen were injured. While a handful of people sit behind bars awaiting the conclusion to their trial, evidence linking the massacre to the police has not been investigated. In the aftermath of the violent event, GHRC provided ongoing support for a community initiative to develop a new security model for Nacahuil. 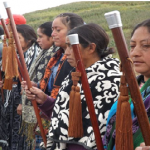 In 2014, GHRC visited Nacahuil as part of our annual “Women in Resistance” delegation and witnessed the formal presentation of a new security agreement between communities and local police forces; GHRC is included in the contract as an international observer. Massacre at Totonicapán: On October 4, 2012, approximately 15,000 members of the indigenous communities in Totonicapán gathered to block five key transit points on the Pan-American Highway. The protesters denounced excessive electricity prices, changes to the professional teacher training requirements, and proposed constitutional reforms. 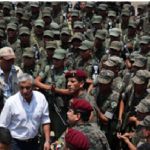 A military contingent of 89 soldiers under the command of Colonel Juan Chiroy Sal sent to break up the protest and restore the flow of traffic confronted the protestors, killing 6 and wounding over 30. After completing an investigation, the Public Prosecutor’s Office arrested Colonel Juan Chiroy Sal and eight soldiers. Santa Cruz Barillas Land Rights Case: In a community meeting held in Santa Cruz Barillas on June 23, 2007, the community expressed its opposition to the proposed Cambalam hydroelectric project, denouncing the lack of prior, informed consent. Despite the overwhelmingly unified voice of the population, in 2011, the Ministry of Energy and Mining granted a construction license to Hidro Santa Cruz to build a dam in the area. Since the assassination of a local leader, the community has led ongoing resistance to the dam. On May 2, 2012, President Otto Pérez Molina declared a state of siege, during which 11 local leaders were arrested and charged with crimes ranging from armed robbery to terrorism. Several community leaders from Barillas remain in prison on trumped-up charges; GHRC has visited the prison where they are being held to document conditions and provided international observation during numerous trials.